It goes without saying that your wedding day is one of the most important days of your life. The experiences shared, tears shed and memories made most assuredly will last a lifetime. Stay off the Roof understands the significance of your big day. That’s why we design and set up wedding lighting for your reception or ceremony with the utmost professionalism and care. Our design team will create a display specifically tailored for your wedding. We offer a FREE comprehensive consultation, and our specialists will work with you to make certain no detail goes overlooked. No matter the size of your wedding or reception, we have the lighting to illuminate the eye and captivate the mind and warm the heart. 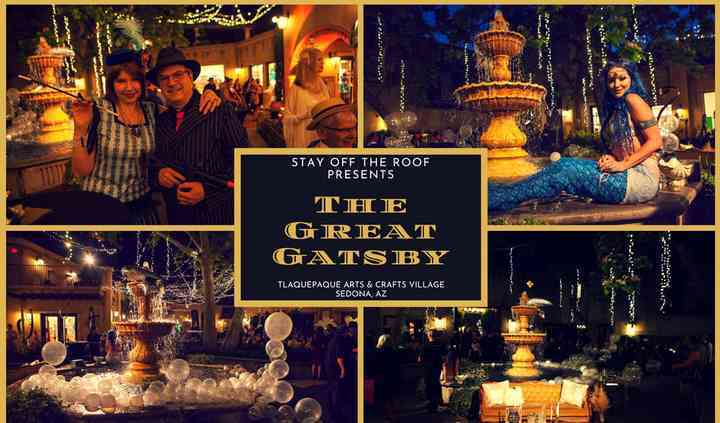 We serve the entire Valley, including Phoenix, Tempe, Mesa, Scottsdale, North Scottsdale, Gilbert, Cave Creek, Deer Valley, Paradise Valley, Cave Creek and more. You have enough to worry about on your special day. 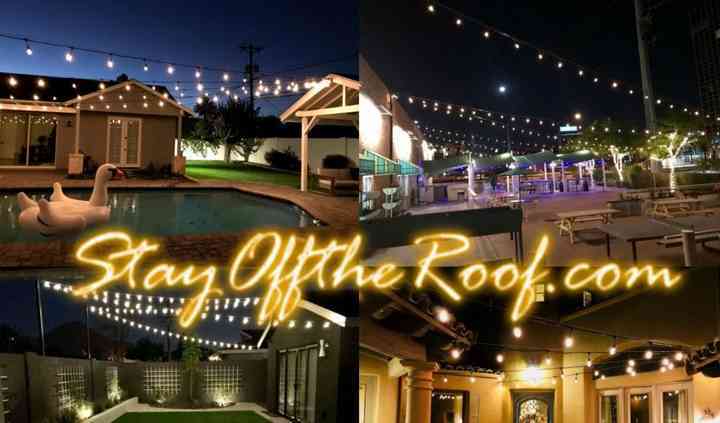 Let the wedding lighting professionals at Stay off the Roof set up a spectacular display you and your treasured guests will never forget! This company is so easy to work with. I hired they to do the lighting for my nieces wedding, their lighting and ideas were so beautiful. They really exceeded all of my expectations and I highly ... Read more recommend them. 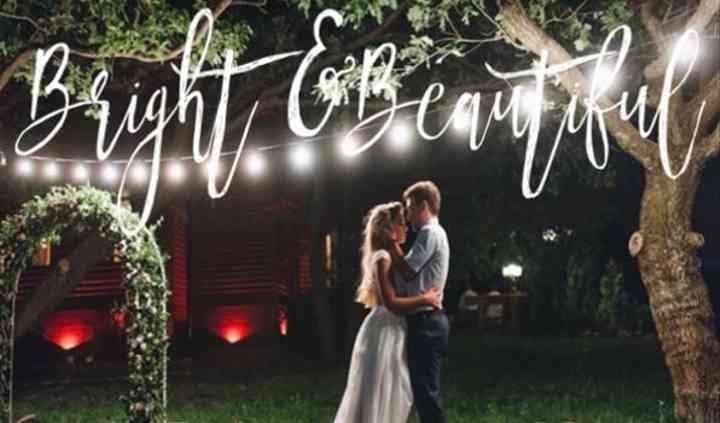 I’m so glad I found this company to do the lighting for my backyard wedding. I decided to do lighting as the decorations for my wedding. They did such an amazing job! Everything I imagined and even ... Read more more. I met the owner Jonathan that came out to do my estimate, he had such great vision designing the most beautiful lights. Everyone kept commenting how beautiful the lights looked, definately made it a night to remember! 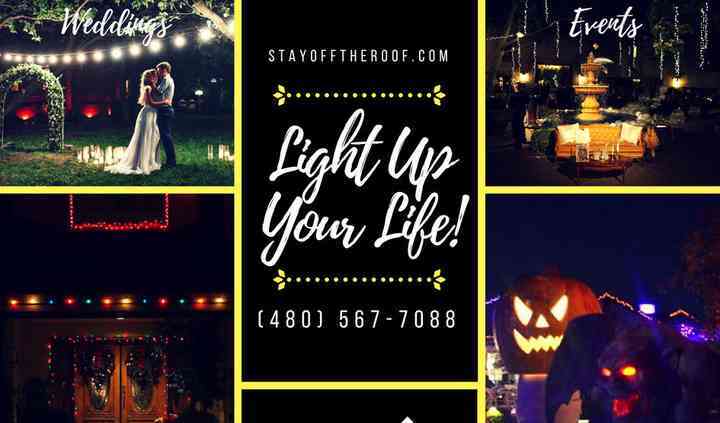 Thank you StayOffTheRoof for being so great to work with and helping make my wedding night so beautiful! Bought some of his lights for my event. They were perfect! Read more Bought some of his lights for my event. They were perfect!